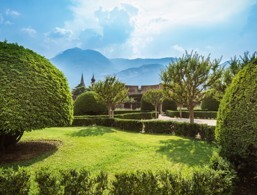 Holidays in Trento ↔ Discover Lake Garda! Cultural and artistic treasures meet lively shopping streets and picturesque squares. Trento is the capital of the Trentino region. 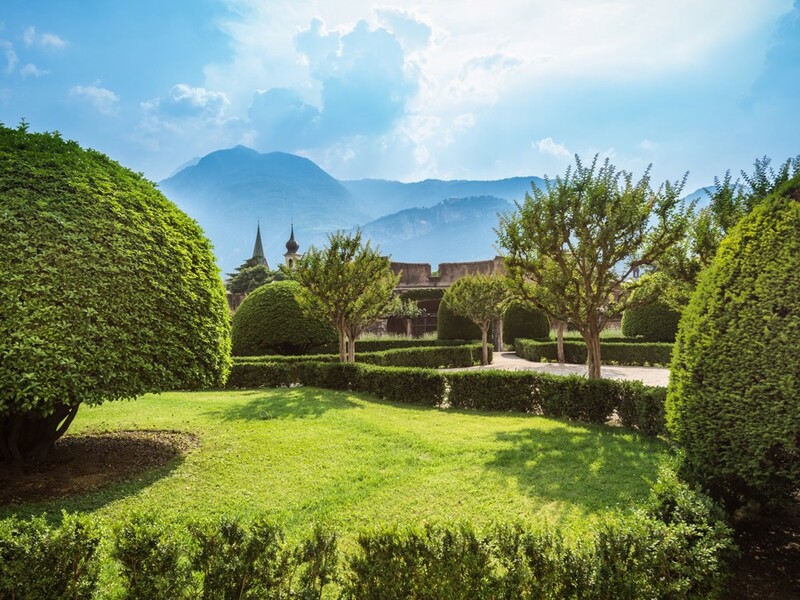 The city in the heart of the Alps is known for its cultural and artistic wealth and has also made a name for itself as a university town. 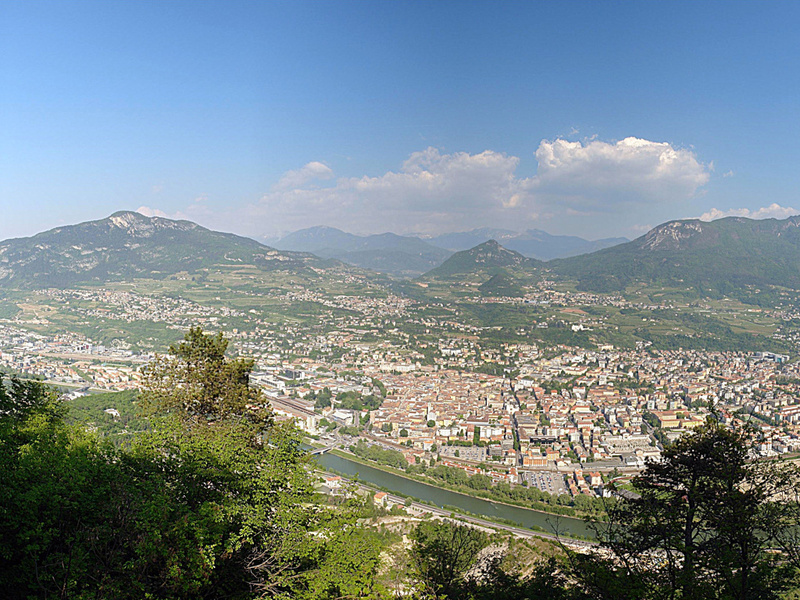 In the Roman era, Trento was an important centre for the exchange of goods between the North and the South. After the Romans settled here the episcopal princes, helped the city to economic prosperity and steady population growth. 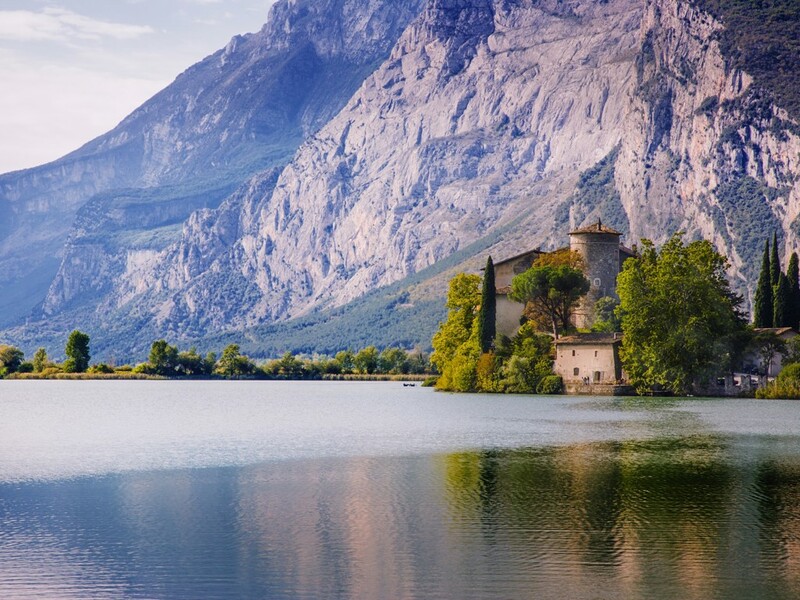 Today, the city of Trento and its surroundings with the majestic mountains and the clear lakes is a tourist attraction in every season thanks to the full range of cultural and sporting events it hosts. 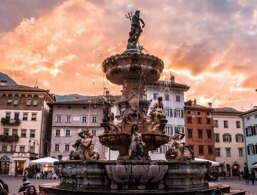 You can stroll through the bustling city centre and admire many cultural sites such as the Duomo, Buonconsiglio Castle, the Diocesan Museum, the Natural Science Museum, the Piedicastello Gallery and much more. 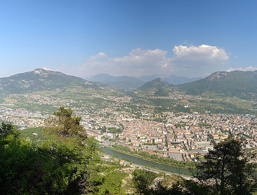 Trento is also an ideal starting point for many sporting activities in the beautiful surroundings of the city, such as the Monte Bondone or the Paganella with the great slopes in winter and the beautiful hiking trails in summer. 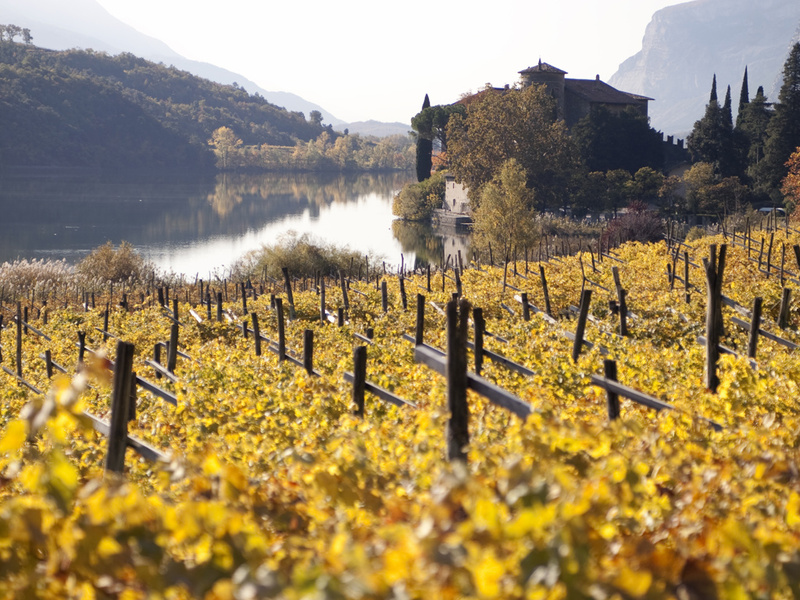 A tour by bike to Lake Garda should also be on the agenda. 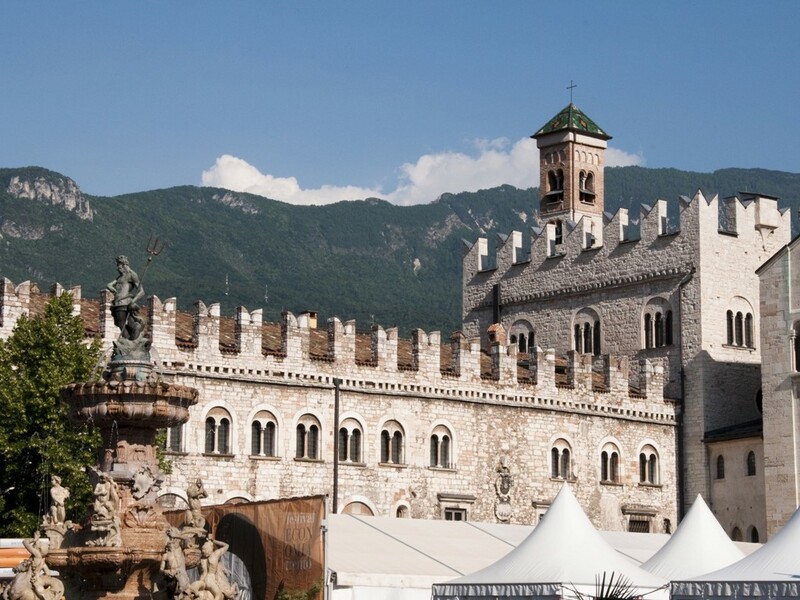 The annual events that attract visitors from far and wide include the traditional San Giuseppe and Santa Lucia markets, as well as the Vigilius Festival, which is celebrated in the city centre every year in the third week of June, in honour of its patron saint. From November to the end of December, the traditional Christmas market takes place in the market square. The city of Trento offers countless sights and picturesque squares. 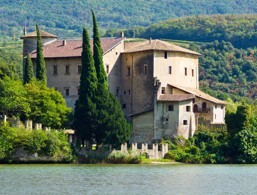 Buonconsiglio Castle is one of the most important secular buildings in the region. 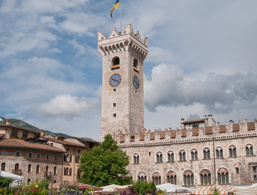 For more than 500 years it was the seat of the Trentino prince-bishops. The complex of limestone is adorned with a battlement wreath suggestive of the shape of a swallowtail. Gothic windows and a Gothic-Venetian portico dominate the image of the castle. The oldest part of Buonconsiglio is called "Castelvecchio" and dates back to the 12th century. Buonconsiglio is also famous for the frescoes "Cycle of the Months" dating back to the 14th century. The Piazza del Duomo is the meeting point of the city. It is lined with walls of important monumental buildings such as the Palazzo Balduini. 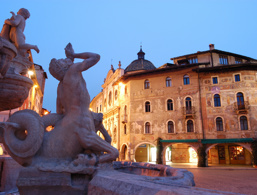 The Cathedral of San Vigilio, the elaborate Neptune Fountain of Baroque, made by the sculptor Francesco Antonio Giongo, and the Palazzo Pretorio (house of the Diocesan Museum), are easily accessible from here. The cathedral is the work of Adamo d'Arogno and is a masterpiece of Romanesque-Lombard architecture with Gothic influences. 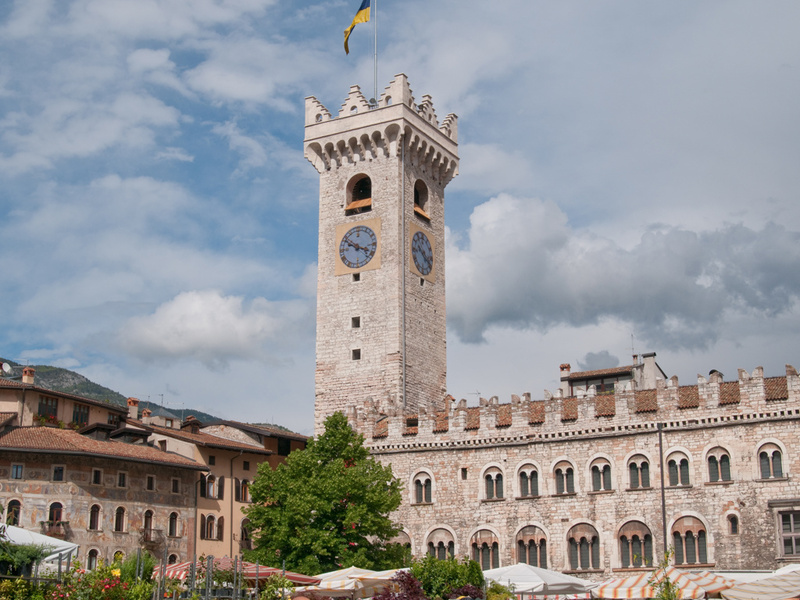 The large marketplace is square and surrounded by the Palazzo Arcivescovile, the walls of the Vanghiane and the Madruzziano watchtower, which impresses mainly with its cylindrical shape. On the market square, various markets, including the annual Christmas market, are held. Palazzo delle Albere dates back to the 15th century. 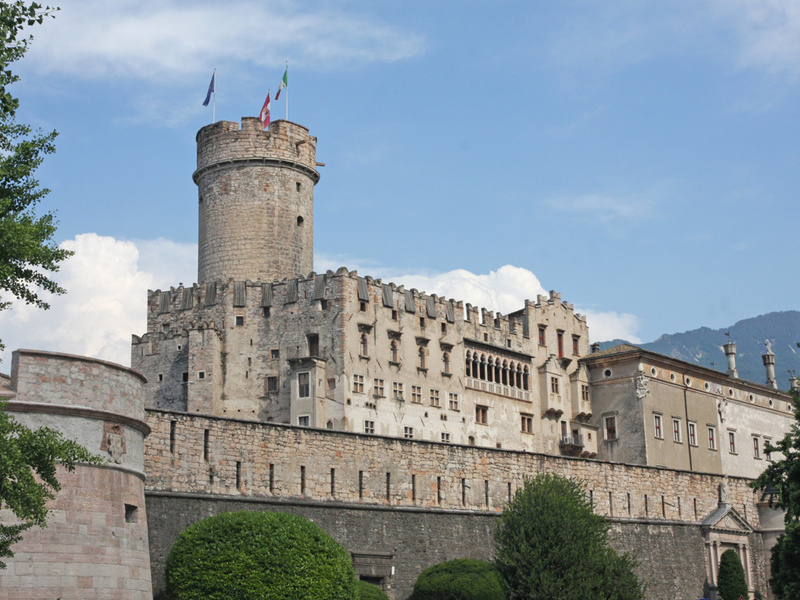 It was initially built for the Madruzzo family, who ruled Trento from 1539 to 1698. Four watchtowers surround the square layout of the building. Inside, the palace is decorated with valuable frescoes by Domenico Ricci and Marcello Fogolino. Today the building is the house of the Museum of Modern and Contemporary Art.